A lovely, 200-year old, stone-built terraced cottage, located on the edge of the pretty, rural village of Gayles, five miles from the historic market town of Richmond. This first-class Gayles cottage has been fully renovated to provide an ideal holiday home for family or friends to enjoy this beautiful part of the Yorkshire Dales. Finished to a high standard throughout, this lovely Gayles cottage near Richmond combines modern furnishings and fittings with original features to create a feeling of character and old world charm. Featuring a spacious layout, this Gayles cottage has a lovely sitting room with woodburner and original parquet floor, a separate room off the sitting room with access to the ground floor shower room, a dining room and a well-equipped modern kitchen with access to the rear garden. Upstairs, four bedrooms, including one double, one twin and two singles, make for flexible sleeping arrangements, and the main bathroom is a real delight, featuring a freestanding Victorian bathtub. With old beams, stable doors and antiques throughout, including an original wooden washing machine, this Gayles cottage provides a superb character retreat. Outside, the delightful cottage garden has lovely long-distance views of the surrounding countryside and provides a great place to sit and watch the setting sun with a few drinks. 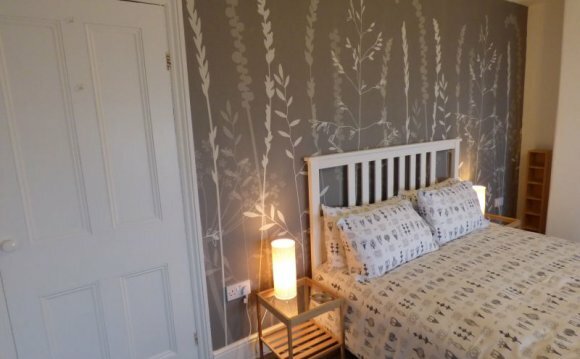 Ideally located within a short walk of the village centre, there are beautiful walks into the surrounding countryside from this Gayles cottage, whilst nearby Richmond offers a fascinating Norman castle, a weekly market, old curiosity shops snuggled along its narrow alleyways and the picturesque River Swale. This Gayles cottage is a charming character retreat you’ll look forward to returning to. Four bedrooms: 1 x double, 1 x twin, 2 x single. Bathroom with bath, basin and WC. Ground floor shower room with shower, basin and WC. Kitchen. Dining room. Sitting room with woodburner. Reading room. Ravensworth 1 miles; Richmond 5 miles; Barnard Castle 7 miles. Gayles is a picture postcard, tranquil village situated five miles north of Richmond in North Yorkshire, perfectly nestled between the two national parks of the Yorkshire Dales and the Yorkshire Moors. Nearby, the village of Ravensworth is made up of quaint, weathered sandstone cottages with unusual Yorkshire rooftops - a mix of soft red pantiles. There are many pretty walking trails leading through the surrounding villages, a wonderful way to uncover the delights of Yorkshire’s charming countryside. Spend the day in the market towns of Richmond and Barnard Castle, both boasting a delightful collection of shops and pubs, or discover the beautiful surrounding scenery on foot or by bike. Gayles is a wonderful base for exploring North Yorkshire, County Durham, the North York Moors and the Lake District, all year round. YORKSHIRE HOLIDAY RALLY SETTLE 19-24th JULY.